Home to one of the largest online collections of custom-designed throw pillow covers, custom drapes, duvet covers, table runners and more specially designed soft home furnishings! Mix and match colors, textures and patterns to make your home a visual treat. All the soft home furnishings by The HomeCentric are designed with a view to bring character and uniqueness to your home, and to breathe life into your personal sense of style with our designs. Carefully handcrafted by master craftsmen, each pillow cover, each custom drape, each duvet cover and table runner boasts of attention to detail, aesthetics and highly skilled artistry. 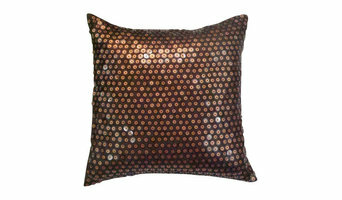 View our products by color, type, fabric and style. The HomeCentric will not leave you disappointed! Wholesale and consignment requests are welcomed. Note: Our range of Drapes, Duvet covers, Decorative Fabrics and Table Runners will be launched soon. Timeless, Unique Indian Craft. Promote Fair Trade. Support The Artisan. " The Wheel Of Asha " was born from an ardent desire to create a larger than what exists today, for all the beautiful and unparalleled creativity that the simple artisans of India have been quitely perfecting for centuries. We hope to be able to feature Indian Art & Craft in its most unique and contemporary form and bring it closer to people across the word. 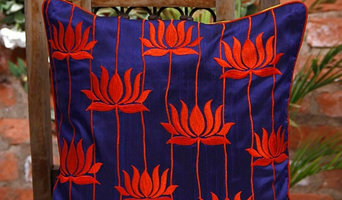 The page is inhabited with a wide selection of products from every corner of the country by our artisans or sourced directly from the NGO's working closely with the artisan groups. The objective is to support our Craft heritage in some way while creating a Fair Price platform for these artisans in domestic and Global Markets. 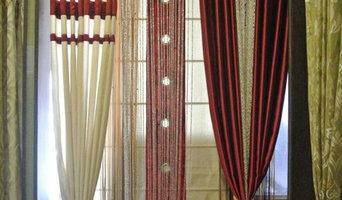 We are whole seller of curtain fabric, mattresses, wallpaper, bed-sheets, blanket. 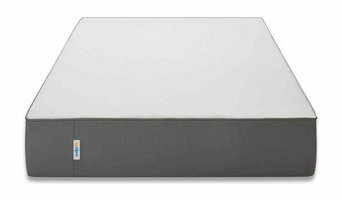 Today, numerous mattress brands have sprung up in India, where they simply outsource the manufacturing to a contract manufacturer by giving a product specification taken from one of the existing mattresses in the market. All you need to start is a simple website and a phone number. We’ve done the R&D, so that you don’t have to! We believe that innovation should happen every single day. Design iterations should happen every single day. Understanding what our beloved customers want, should occur every single day. Manufacturing different formulations to keep making the mattress better year on year should happen all the time. That is the reason we have invested in the resources, R&D bandwidth and our best efforts in designing mattresses with care, and then engineering them with love. Every fabric, every thread, every foam layer is painstakingly taken to make your Wakefit experience beautiful. Every design decision is based on one simple question that we ask ourselves all the time - Will this bring deeper sleep and the best rest possible? We've done the R&D, so that you don’t have to! “Sunday Rest” functioning from Bengaluru are a team of enthusiastic people offering the best in the world of mattress. We are working to provide not just any mattress, but a bundle of comfort and health combined together to add pleasure to your lifestyle, all for an affordable price. Log on to www.sundayrest.com to know about our products. Indulgeville is the ultimate destination for luxury bed and bath linens in India. At Indulgeville, we are passionate about discovering the most exquisite fibers known to mankind, crafted by the most skilled artisans across the globe. Our carefully curated collections embody luxury, comfort and creativity that have dressed royal palaces, presidential homes and prestigious hotels. White Spring is dedicated to making impeccably stylish and beautifully designed products. We bring luxury quality bed linen that has been specially crafted using 100% long staple cotton. We are pleased to introduce ourselves as RISHA’s manufacturer of Bed Linen & Bath Linen specializing &catering only to the Hospitality Industry Our quality and competitive prices are well accepted by our customers and as a result, our customer base has been increasing day by day. We have Most of our Prestigious Clients in India. We Manufacture & Supply Luxe Quality Bed Linen and Bath linen especially for Hospitality Industry. 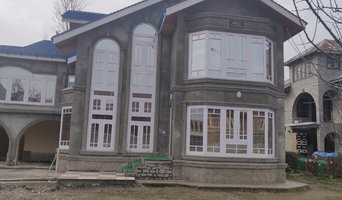 Products of Excellent quality material and unbelievable Prices are offered to all our prestigious clients, We Assure our best services at any time. Make your Valuable order with least prices and Save money for every purchase. We supply of 100% Cotton Bed Linen, Bath Linen as per Customer requirements, Bedsheets, Pillow covers, Pillows, Cushion, Bolster, Duvet, Duvet covers, Mattress Protectors, Bath Towel, Hand Towel, Face Towel, Bath Mat, Terry Bath Robe, Waffle Bath Robes, Night bed Spreads, Swimming Pool Towel, Shower Curtains, Bath Room Slipper, Napkin, Table Cloth, Hotel Linen, bed linen, bath linen, terry slippers, waffle slippers, hotel slippers, Cottton bedsheets, polycotton bedsheets, hospital linen, hospital bed sheets, Disposable Bed sheets, Bed Runners, Bed Cushions etc Our Strengths & Your Gains * Risha has been associated with Hospital Industry and has earned the reputation of High Quality products and excellence in Customer service. * Being a Manufacturer and Supplier, we can customize the product as per your specification in any Thread count / size * No Middle Men / Agents are Involved. You can enjoy the benefits of Sourcing directly from the LOOM PEOPLE Assured International Quality , Personalized service, Un Match able Pricing and in Time Delivery. Smaller details like fluffy towels, plush bed sheets, smooth bed linens and soft furnishings are perfect to welcome your private space after a long day. These are not only functional but will also add texture to the room. Creating a bath retreat does not mean a brand-new bath tub, there is plenty you can do to refresh the space by making it more functional. Storage is always a problem, so think about creatively using bathroom furniture. Bathroom accessories manufacturers will be able to help you the best alternatives to bathroom cupboards, like ladder stands that are multi- functional yet stylish. Bathroom stands are a great way to display fluffy towels and other bathroom items. Creating a luxurious master bedroom won't be complete until you find the ideal bed sheet manufacturer. Talk to the professionals before picking bed linen, ask about the thread count and material. If you want softer than soft, go for high thread count cotton, like Egyptian cotton, instead of the gentle jersey cotton, but if you are after crisp and clean lines, white linen is the way to go. You can also opt for jewel toned bedding sets to ensure you create a perfectly royal look. Find bedding, towels and bathroom accessories professionals on Houzz. You can narrow down your search for textile designers, bathroom showroom, and bathroom supplier by choosing Bedding & Bath’ supplier in the Find a Pro section. Find the most reviewed bed linen and towel manufacturers and check out photos for ideas.